The Mariana Law Enforcement Regional Information Network (MLRIN) helps safeguard the community. 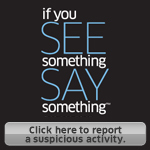 To detect, prevent, investigate and respond to criminal and terrorist activity, MLRIN disseminates criminal intelligence and facilitates communications between Federal, State and local agencies, private sector & community partners to help them take action on threats and public safety issues. The MLRIN provides intensive multi-disciplinary training to private and public safety professionals, with exercises to strengthen counter-terrorism readiness. Coordinate the exchange of criminal intelligence, threats, and hazards through public safety partnerships to enhance regional communications among Law Enforcement, First Responders, Government, Private Sector and Community Partners. The MLRIN's Critical Infrastructure Protection (CIP) capability enables public and private entities to identify, assess, prioritize, and protect critical infrastructure and key resources so they can detect, prevent, deter, devalue, and mitigate deliberate efforts to destroy, incapacitate, or exploit critical infrastructure and key resources. To engage in effective and meaningful information sharing, it is fully recognized that it must be done in a manner that protects individuals’ privacy, civil rights, and civil liberties. To safeguard constitutional rights and to ensure that we are addressing our ethical and legal obligations while engaged in the fusion process, we have developed, implemented and enforce various policies and procedures which are fundamental to this aspect of our mission. The MLRIN provides significant benefits to its members. For further information regarding the various types of membership, click on the links below.